Are you a Wine Geek? And you can’t stand Wine Snobs? You know, those people who scoff at you if you don’t constantly speak of body, palate, and even legs? 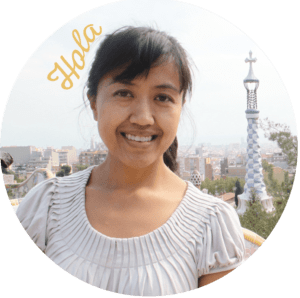 Well, here are snob-free wine bars in Barcelona — presented to you by my friend, Andre, who’s also the founder of Barcelona Eat Local Food Tours. 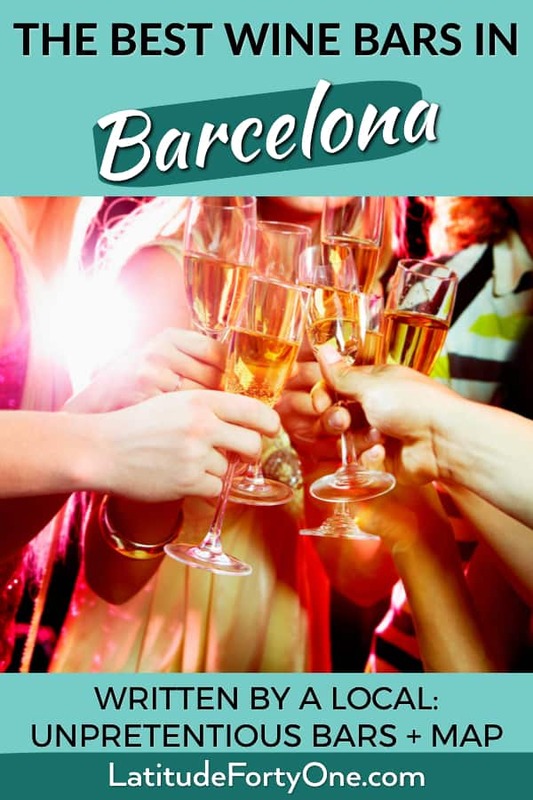 Andre is an avid traveler, wine and beer lover who has hit almost any bar in Barcelona. Spill it, Andre! 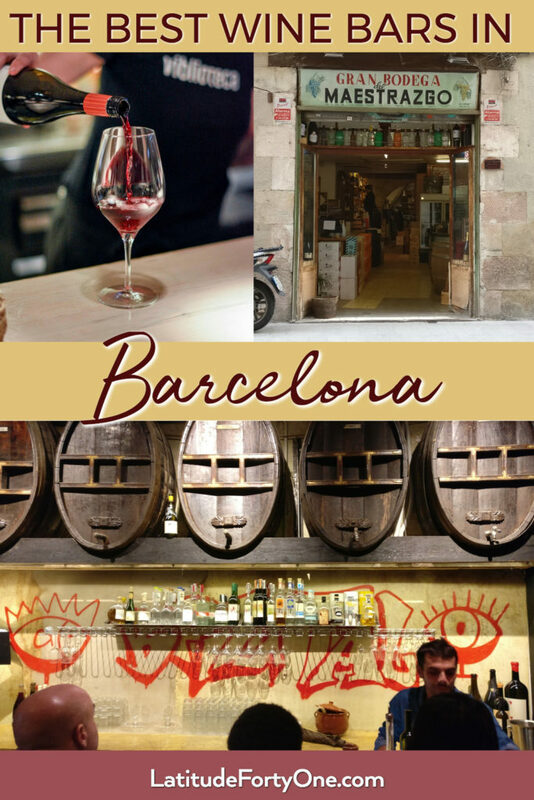 Most people in Barcelona, locals and travelers alike, get to try that amazing glass of Spanish wine a few times per week. A famous and anonymous wine quote reads: “Life is too short to drink bad wine”, so let’s get to the point. Knowing that wine was the favorite drink of Romans, I always kind of fantasize about that step back in time that one can take with a glass of wine. But let’s be realistic: I can’t go back to centuries ago. I prefer to go to wine bars that are genuine to a city, the ones that actually smell like wooden barrels and aged wine. 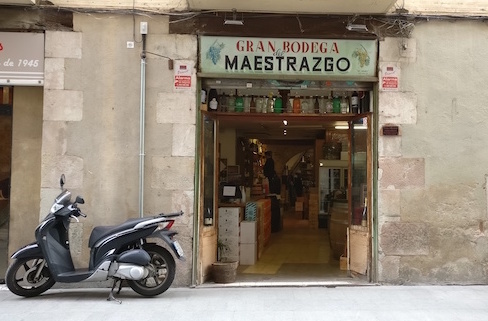 At Bodega Maestrazgo, one of the oldest wine stores in Barcelona, you simply get that, plus an amazing selection of Spanish wines that their friendly staff will recommend based on your preferences. Have you ever thought about drinking an exquisite red wine with a bouquet close to rotten eggs? Well, that’s the price many people pay for drinking natural wines, which are produced following ancient techniques and where no chemicals are added. Ever since I had the first sip, I couldn’t stop, except that I forgot to swirl and smell, a habit that most wine lovers can’t resist doing. 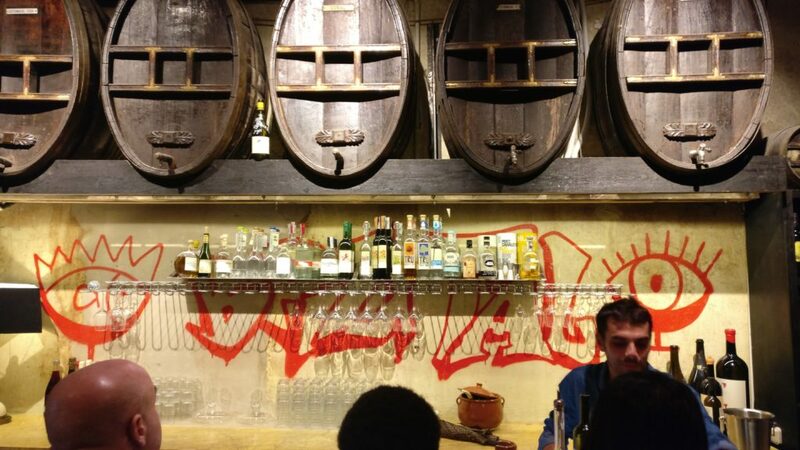 Bar Brutal is one of the only natural wine bars in Europe, and it actually is brutal! 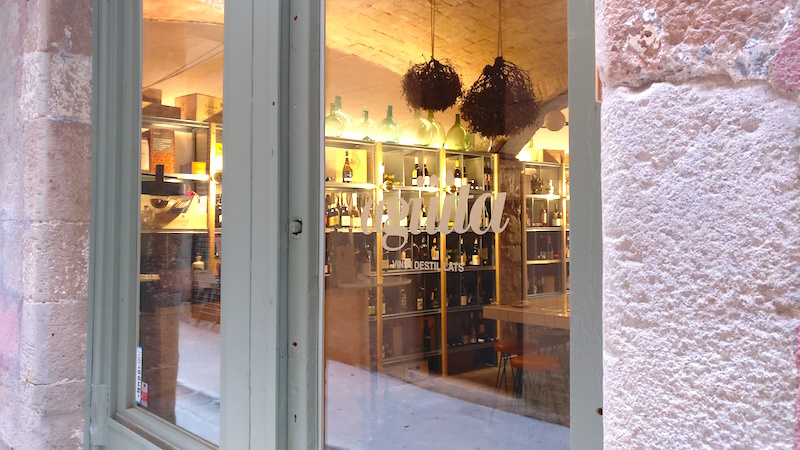 Located at the emblematic Sant Antoni “Foodies” District, this wine bar is the perfect place for those looking to immerse themselves in the world of Catalan wines. Start by sipping a glass of white wine from Emporda and finish the round with a complex Priorat. There is also an excellent selection of local cured meats and cheeses. 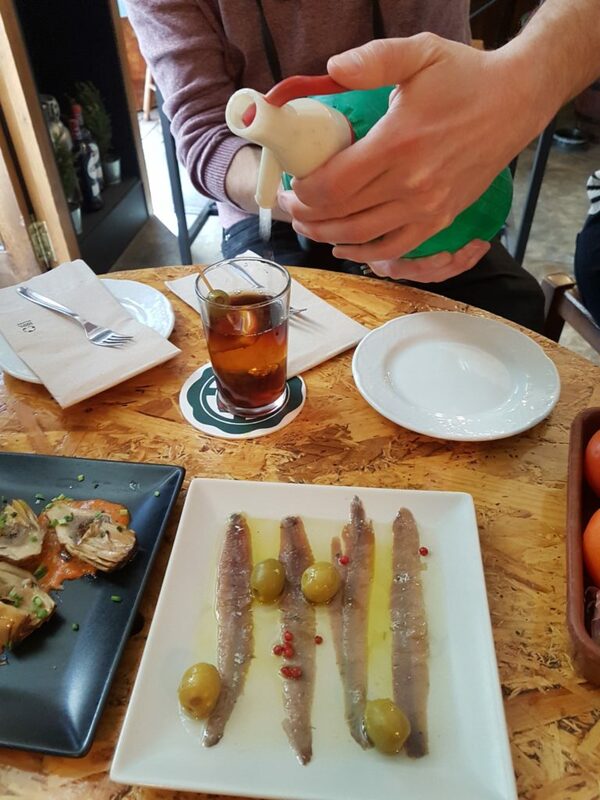 This tiny gem is located in the heart of El Born district with only about a dozen seats. Trendy, friendly, and enjoyable, Agüita Vins is a great spot for surprising your other half before going for that romantic dinner at one of the fancy restaurants around the corner. Tell the resident sommelier about your taste preferences, and ask him for a surprise. You’ll make it the beginning of a great evening. The Gracia District in Barcelona has a unique character. While most locals like to gather in the squares for a glass of beer, you can find many wine bars throughout the area. Viblioteca is one that I visit over and over again, especially after a hard’s day work. At this tiny wine bar, you have to reserve in advance. I feel the way they do this (always smiling over the phone) doesn’t come off as snooty, but it just makes them efficient. As when you get there, one of the sommeliers will greet you by your first name and will help you find a great bottle of wine to start the evening. Tip: try the cheese platter. Most of the cheeses are delivered weekly from the hands of local producers from the nearby Pyrenees and other cheesy Spanish regions. Totally unpretentious and casual, this is one of the most relaxed bars on the list. It’s probably not a “true” wine bar as it is well known for their craft beer menu and super affordable tapas. So expect to share your wine passion along with bearded man with beer bellies and some rock music in the background. 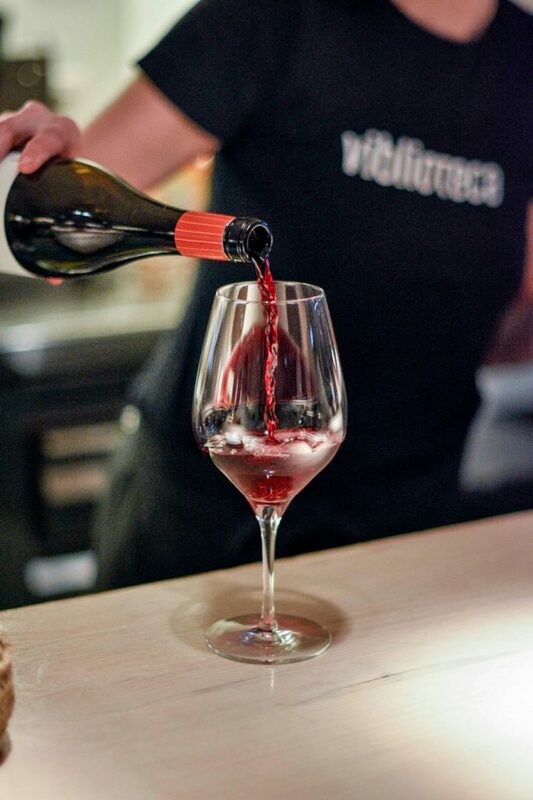 A unique spot to drink excellent wine in Barcelona. 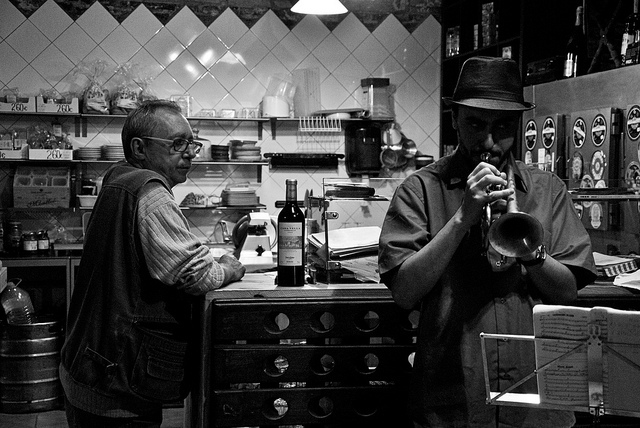 So when it’s wine o’clock, you know where to find the best wine in Barcelona in some unassuming spots. Have you been to any of these wine bars? What can you add to the list?